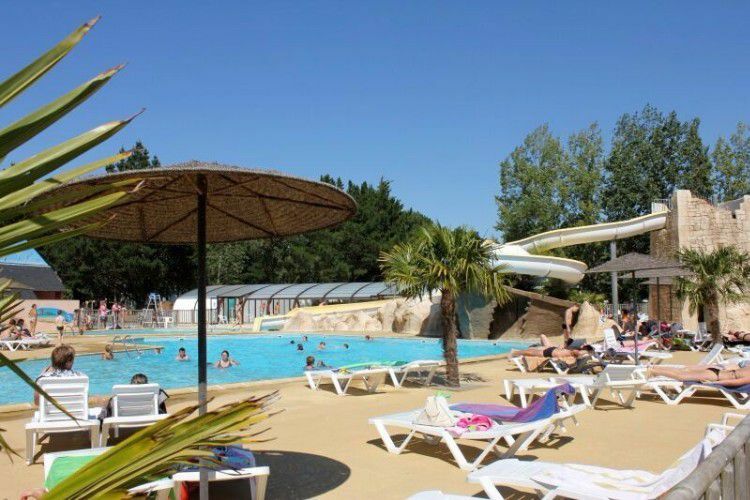 For a fantastic holiday, come to the 5-star Domaine d’Inly holiday park in Pénestin in the area if Morbihan. With its 20 hectare domain and its location just 2km from the Atlantic ocean beaches, this site is the ideal place for family holidays. 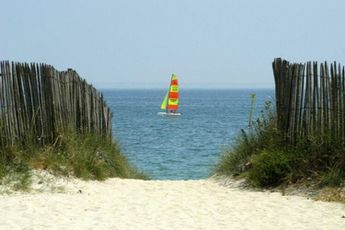 The Domaine d’Inly has a wide panel of activities on offer. Make the most of the amazing water park with outdoor and 2000m² indoor pool : perfect for hours of fun in the water. Discover the water slides, Space Shuttle, lazy-river, massaging jets, fun paddling pool. Here, you can also have a game of boules, go horse-riding, fishing or canoeing. In peak season, make way for entertainment! Many activities await the whole family (kids club from the age of 4). Located in a rich cultural area, either on foot or by bike, discover the surrounding traditional villages or the Mine d’Or cliffs. For a complete Breton experience, taste some of the local cuisine before you leave. Nearby, choose from many activities such as swimming, hiking, sailing or golf. Just 5 minutes away by car, discover the Mine d'Or Beach, a listed site where the cliffs possess a geological cross-section that is unique in Europe and display fantastic colours. 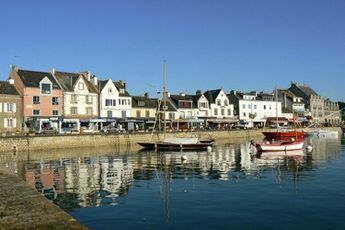 Less than 4 km away, the small port of Tréhiguier specialises in mussel farming; after a visit to the Mussel Farming Centre installed in a former lighthouse, you'll be an expert on this mollusc. The estuary of the Vilaine, less than 20 minutes away by car, unveils a remarkable landscape; tucked away in the ancient city of La Roche Bernard, its port can shelter more than 500 boats. Its narrow streets are lined with private mansions, old warehouses and salt lofts, witnesses of the past. 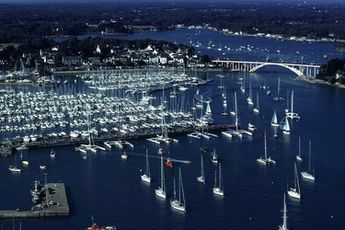 You will need 40 minutes to get to Vannes and fall under the spell of this city, its port and its gardens under the ramparts. The tropical and oceanic Aquarium exhibit sharks and corals which are a real treat for the eyes. 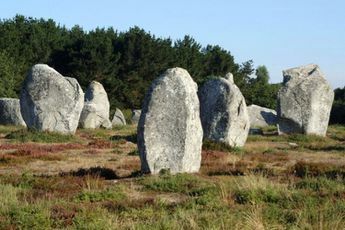 You will be impressed by the megalithic site in Carnac, which extends over 4 kilometres in length and possesses 3,000 menhirs. 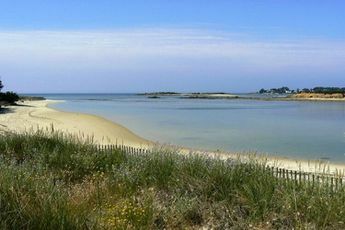 Guérande, situated 30 minutes from the campsite, is now recognised a City of Art and History; it will seduce you both by the monuments of its medieval city and by its well-known salt marshes. In Saint-Nazaire you will yield to the call of the world of ships and visit the Escal'Atlantic Ocean Liner in the heart of the submarine base; you'll soon know everything about the legendary liners, before being initiated to the life of submariners on board the Espadon. At the Océarium of Le Croisic, you can gasp at the Australian sharks in a giant 1-million-litre aquarium, but don't let that stop you from the pleasure of admiring the other fish species in 45 aquariums, including a basin crossed by a transparent tunnel.